The Oahe Chapel sits in a picturesque setting overlooking Lake Oahe four miles north of Pierre on Hwy 1804. (Click here for a map.) Built in 1877, it was moved to its present location in 1964 after construction of the Oahe Dam flooded its original location. The Chapel is maintained by the Oahe Chapel Preservation Society. The Chapel's interior has been restored as nearly as possible to the way it was in 1907. All of the furnishings, except for the electric keyboard, are original as are the pictures on the wall. If you would like to look inside the Chapel, the Oahe Dam Visitor Center next door has a key. The Center is open daily Memorial Day through Labor Day from 9 a.m. to 4 p.m. From Labor Day to Memorial Day, it is open Monday through Friday, 9 a.m. to 4 p.m. The Oahe Chapel Preservation Society publishes an annual newsletter, which also acts as our membership renewal notice. Please click on the dates below to view each newsletter. In 1874, Reverend Thomas L. Riggs, a Congregationalist minister, and his first wife, Cornelia Margaret "Nina" Foster, established the Oahe Mission to serve the Sioux Indians of central South Dakota. The missionaries chose to build on the site of an old Arikara Indian village called Ti Tanke Ohe (meaning "site of the large house" referring to the council lodge), later shortened to "Oahe." The name of the Indian village was eventually adopted by not only the Mission, but also by the dam and lake that now cover the site. The Oahe Chapel is the only remaining building associated with the Oahe Mission. The Oahe Mission was located on the east bank of the Missouri River about five miles upriver from the modern-day location of the chapel. In the beginning, a log house was the center of the mission. In only three short years the house became too small and the American Indians agreed to help Reverend Riggs build a chapel, which was finished by September of 1877. 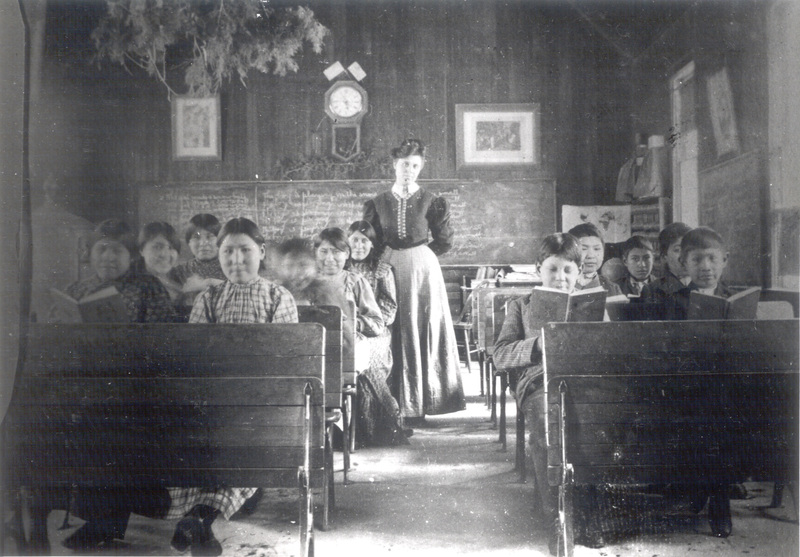 As with any other building on the frontier, the chapel was expected to serve a dual purpose--as a schoolhouse and as the center of religious life. Starting with an ABC primer, the men, women, and children of the mission all learned to read the Bible, first in the Dakota language and later in English. As Europeans settled in the community, they joined in Sunday and holiday worship at the chapel. Services were originally conducted in the Dakota language but by 1931 only English was used. While the dam was being built, it became evident that the Oahe Mission would be completely flooded. In the 1950's, the chapel was given to the State of South Dakota. The State Historical Society was put in charge of the restoration and continued preservation of it. In 1957 the chapel was moved to a temporary location to escape the flooding. It was moved again in 1964 to its current location, eleven miles downstream from the original site. 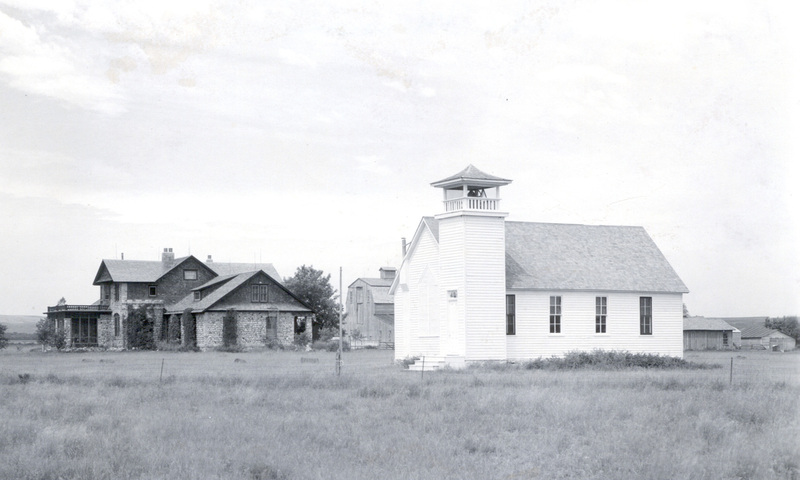 In 1984, local citizens formed the Oahe Chapel Preservation Society in order to restore and preserve the chapel. With donations and volunteer labor, plus the assistance of the South Dakota State Historical Society and the State Historic Preservation Office, the major restoration was completed in 1988. While the South Dakota State Historical Society owns the building, the Oahe Chapel Preservation Society continues to maintain the chapel. The Pierre-Fort Pierre Ministerial Association hosts ecumenical services at 8 a.m. every Sunday from Memorial Day through Labor Day. Services are open to the public. The Oahe Chapel is available for rentals. It's a lovely location for events such as a wedding, baptism, or memorial service. The picturesque setting of the historic Oahe Chapel is the perfect location for your special event. The Chapel has held both indoor and outdoor weddings, baptisms, funerals, memorial services, prayer services, and meditation groups. The Chapel's seating capacity is 55 people. It is available year-round. Be sure to note the extenuating circumstances noted in the Guidelines. The rental fee is $50 or $35 for members of the Oahe Chapel Preservation Society. If you are not familiar with the Chapel and would like to view it, the adjacent Visitor Center has a key. They are open Monday - Friday from 9 a.m. to 4 p.m. More details on this are available in the Guidelines. Before submitting an Application, please be sure to contact the State Historical Society at 605-773-3458 to make sure the date you want is available. You may also view a Chapel brochure or a Chapel photo collage. 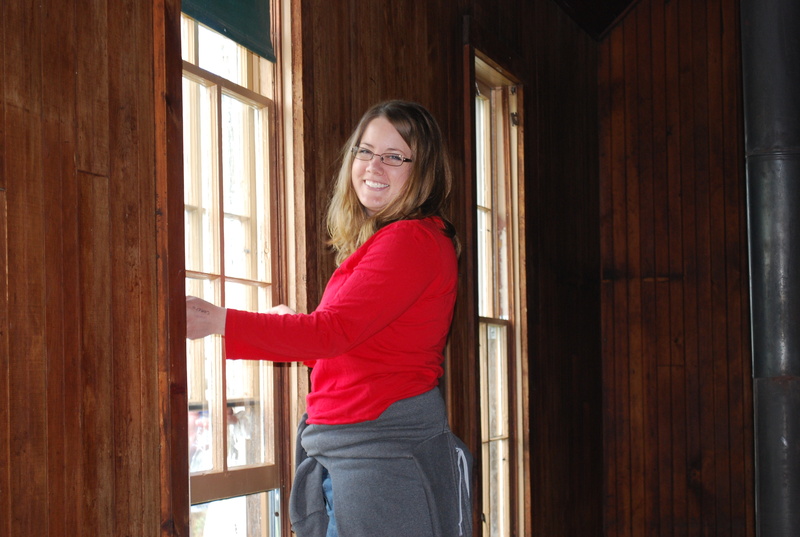 The Oahe Chapel Preservation Society maintains and preserves the Chapel for the public's enjoyment. They are charged with the care, renovation, restoration, maintenance, and public utilizations of the Chapel. The Society was created in 1984 when a group of local citizens joined together to save the Chapel after it was condemned for structural problems. 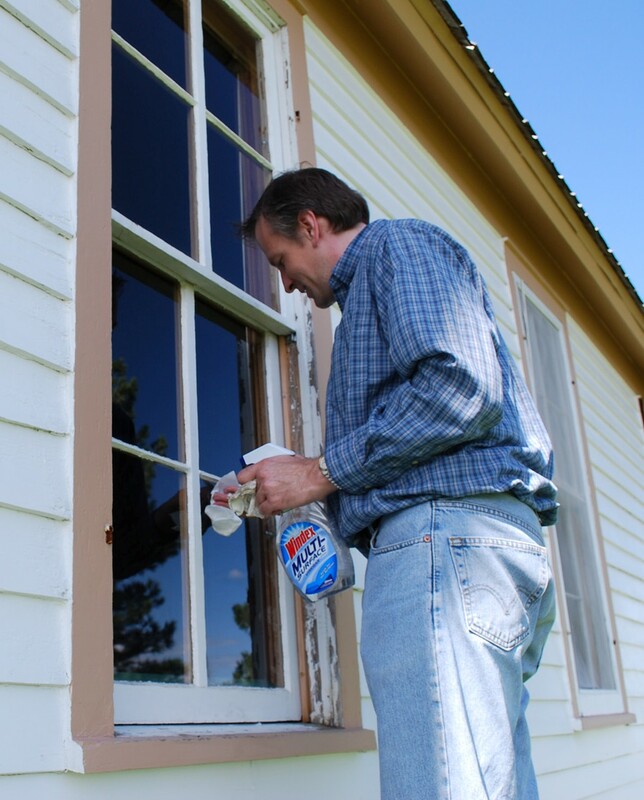 A major restoration was completed in 1988 with donations and volunteer labor, plus the assistance of the South Dakota State Historical Society and the State Historic Preservation Office. Since the initial restoration, the Oahe Chapel has been painted several times, the roof has been reshingled, some pews and the bell tower have been repaired, and the windows have been restored. In 1986 the Porter-Putman trust was established in memory of Robert Paul Porter and Stella Putman Porter, who were longtime residents of the Pierre area. The interest from this fund along with rental fees, membership fees, and donations are used to maintain the Chapel. You can join in preserving the Chapel by becoming a member of or donating to the Oahe Chapel Preservation Society. All donations are tax deductible where allowed by law and are greatly appreciated. For a membership/donation form, please click here. The Board of Directors has ten members. Nine are elected from the membership with the tenth being the current president of the Pierre-Fort Pierre Ministerial Association or their representative. Board elections are held at the spring annual meeting. Below is a list of current Board members. View the Pierre-Ft. Pierre Discover Our Shared Heritage Travel Itinerary to learn about other historic sites in the area.